The SSD market has really taken off recently with increasingly faster drives with higher capacities being released all of the time. There has been one main problem with the entire SSD market since the beginning though, and that is cost. Even with prices continually dropping to slightly more reasonable levels, there are only a small handful of drives available for the $1 per GB price range. 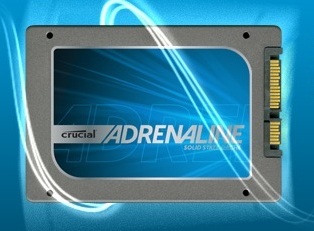 Today we are reviewing the Crucial Adrenaline, a solid state cache drive. The idea behind this drive is that you can plug it in to your existing system in tandem with your hard drive and achieve near-SSD level performance. So in theory, you get the blazing fast speed of an SSD while maintaining the massive storage and cheap prices of a hard drive. Read on to find out if it will live up to its claim.